I would like talk about some new model kits I have discovered recently. They are mini Strandbeests, and actual Strandbeests are referred to as new forms of life by their creator Theo Jansen. He has been building and improving them for some time. Compared to the size of the models, his Strandbeests are actually huge. When I saw the video of these big skeletons move smoothly on a beach I was beyond impressed. You should definitely check it out here. 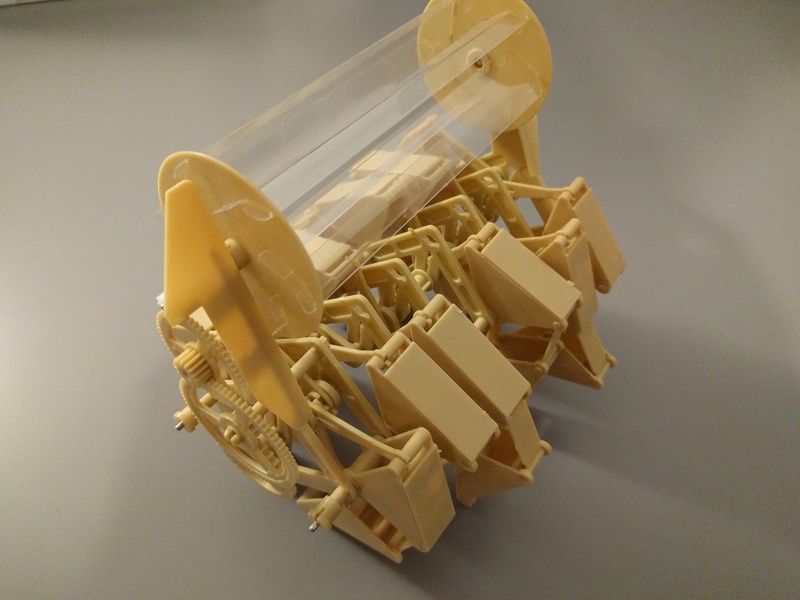 Regarding the models, I am actually not sure if these are “satisfying” enough for model hobbyists because Strandbeest models are actually not very challenging to build. Some people might even consider them as educational toys. I built two and it took me about an hour to build each but it was definitely so much fun for me build them. If you are fan of mechanical things, I believe you will definitely enjoy these small models. These are very cute mechanical models, and it was fascinating for me to see them move with the wind. I even bought a book about simple mechanical movements to explore more myself. Here is the link if you want to check it out too.